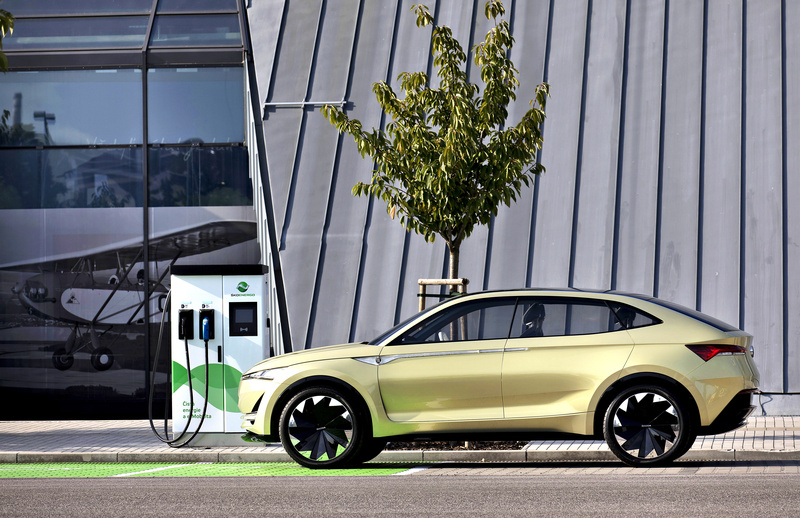 How exactly is ŠKODA approaching the rise of eMobility? It has identified five key issues to pursue in the development of electrified vehicles. Each of these themes can be found here. With the automotive industry increasingly focused on eMobility, none of the key players wants to miss the boat. 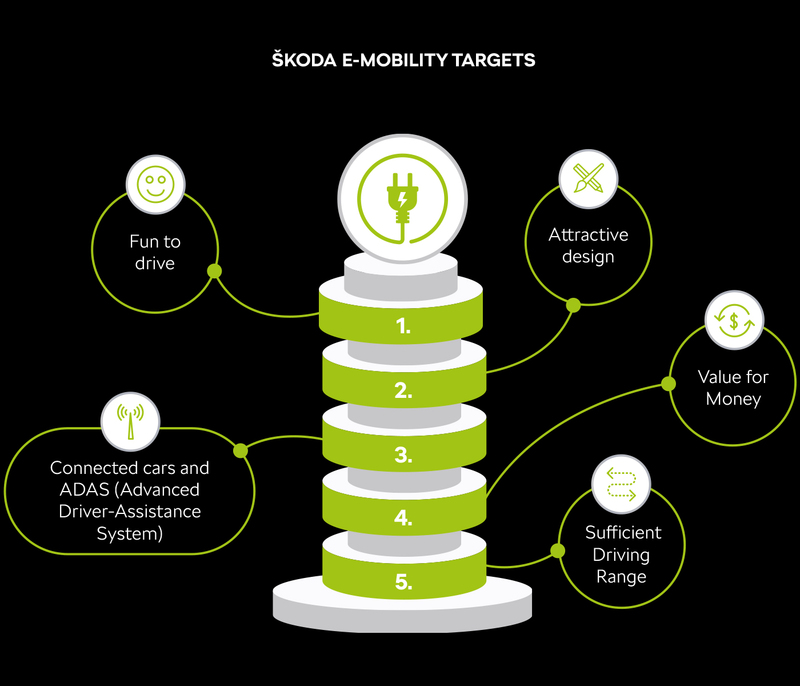 ŠKODA will be jumping aboard the good ship eMobility next year, and to pursue five central planks in its strategy. The first is driving pleasure. Devotees of nimble driving will be pleased, for example, by the fact that the maximum torque for electric vehicles is available from zero revolutions, which means the car will accelerate at lightning speed. The second important plank is attractive design. Here, electric cars offer abundant opportunities, especially in the interior, because the removal of the tunnel console will create a large open space. Designers will be able to create an extremely spacious interior. As you can see in the VISION E concept, electric ŠKODAs will offer the elevated seating position typical of SUV models and generous space combined with a dynamic silhouette and a gently sloping coupé-style roof line. Because electric technology doesn’t need so much space as an internal combustion engine and gearbox, two boots can fit into the car – one at the back, the other at the front. Another key topic is already a foregone conclusion – the car will be connected to the internet and will feature advanced driver-assistance systems that not only increase driving safety, but also help the driver. Smartphones can be inductively charged in the cars, while personal settings, data and information on smartphones can be accessed via a connection between the car and individual passengers’ displays. 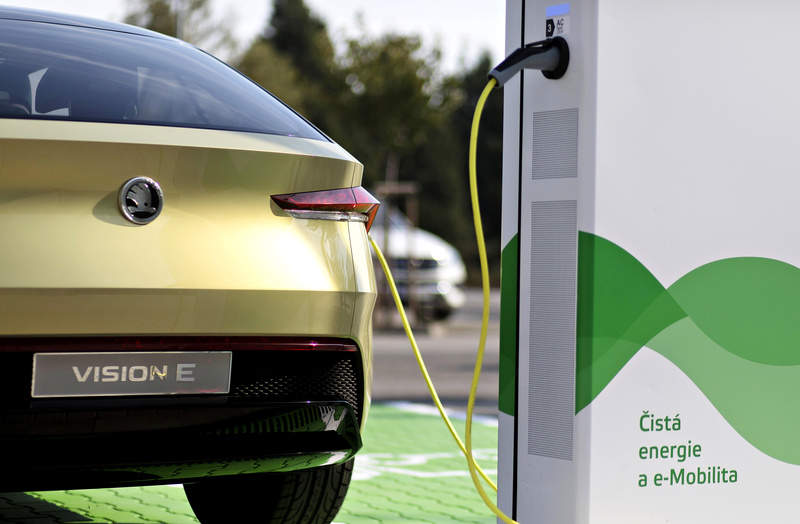 One of the ŠKODA brand’s priorities for future electric vehicles is to provide customers with value for money. 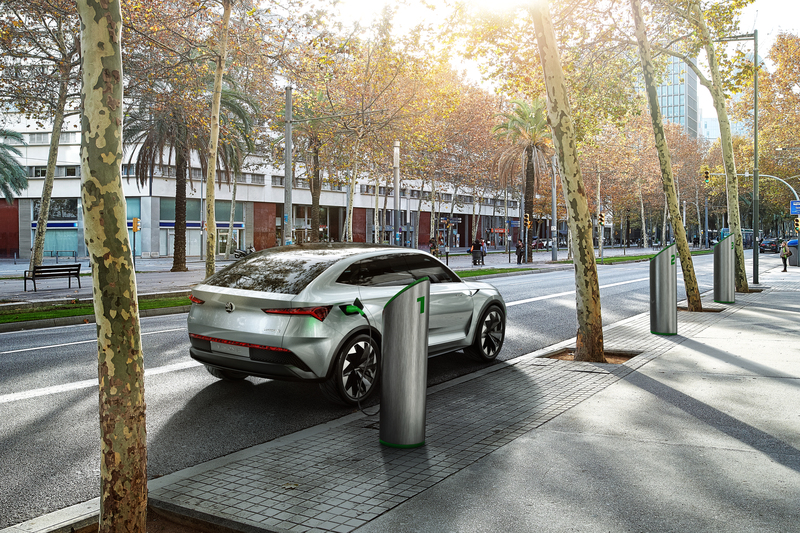 ŠKODA is famous for offering customers lots of space and Simply Clever solutions, and of course this will extend to electric-drive cars. Closing the circle of five key issues is the driving range delivered by the car battery. 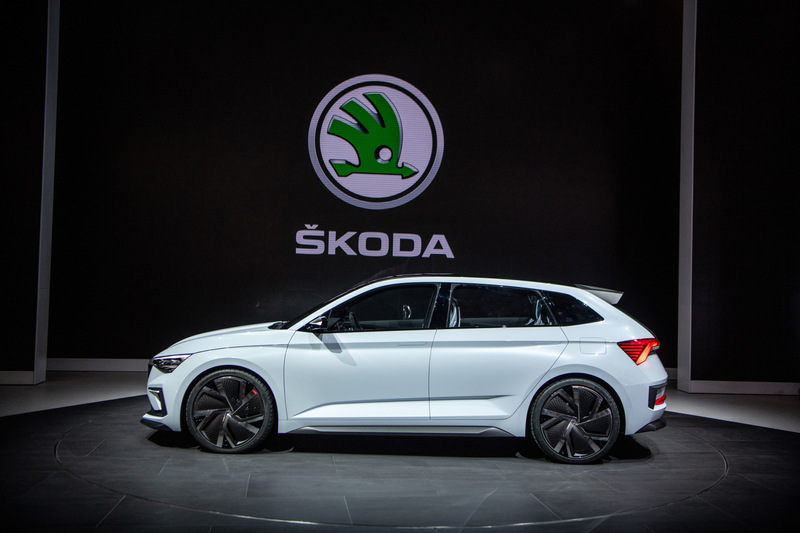 This condition is of paramount importance both to customers weighing up the virtues of eMobility and to ŠKODA’s developers. 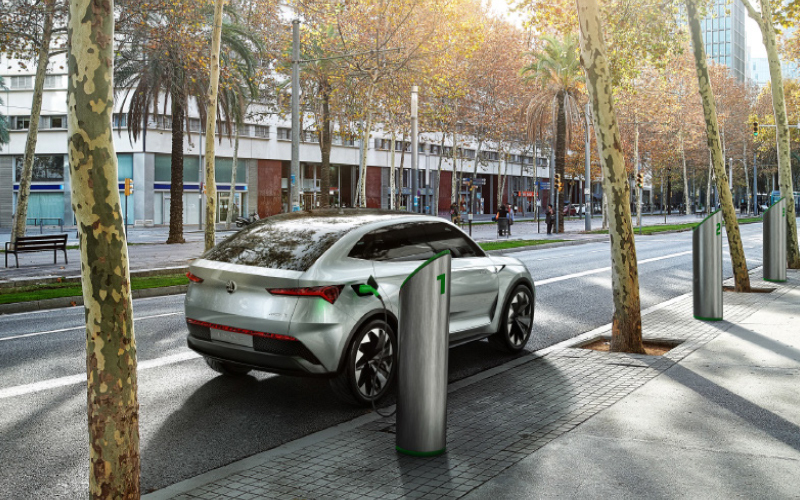 As it ponders the future, ŠKODA is not thinking solely of the production of electrified vehicles, which are forecast to account for 25 per cent of all cars sold in Europe in 2025. 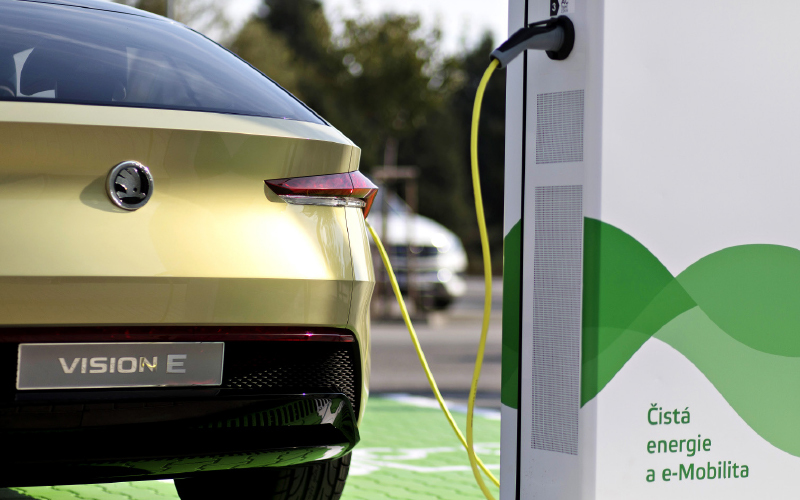 ŠKODA is set to invest EUR 2 billion in the development of electric cars and new mobile services over the next five years as part of Strategy 2025. 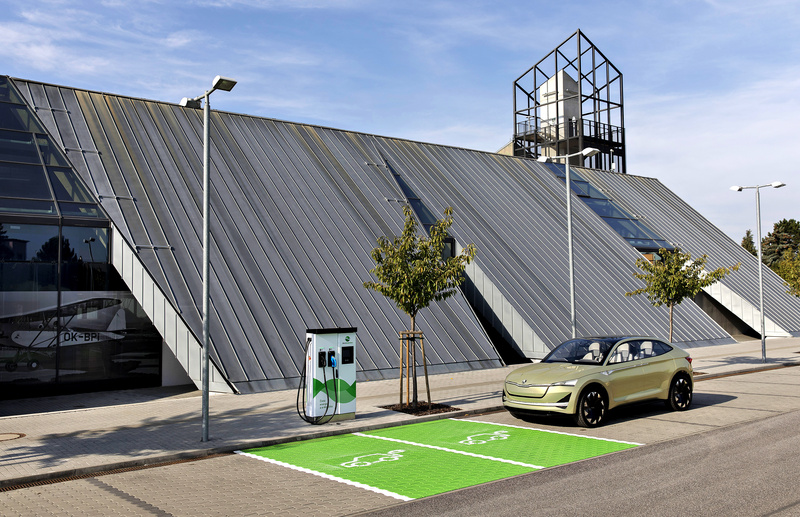 It has also put its weight behind the building of charging infrastructure. The rapid charging point put into service in Mladá Boleslav in September is one such example. 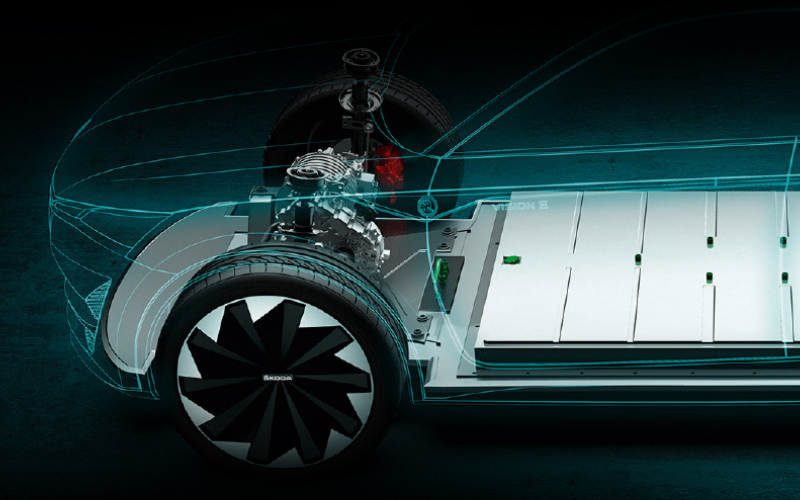 And what ŠKODA cars can eMobility fans look forward to? In 2019, ŠKODA will launch its first purely electric car – a CITIGO capable of 300 kilometres per charge. It will also introduce a plug-in hybrid SUPERB. In 2020, there will be an electric car built on the group’s MEB platform, offering up to 500 km on a single charge. The ŠKODA VISION RS concept is another example of a ŠKODA electrified vehicle. The car features a plug-in hybrid drive combining a 110 kW (150 PS) 1.5 TSI engine with a 75 kW (102 PS) electric motor. They unite to deliver a system output of 180 kW (245 PS), enabling the concept study to accelerate from a standing start to 100 km/h in 7.1 seconds. On its purely electric drive, i.e. 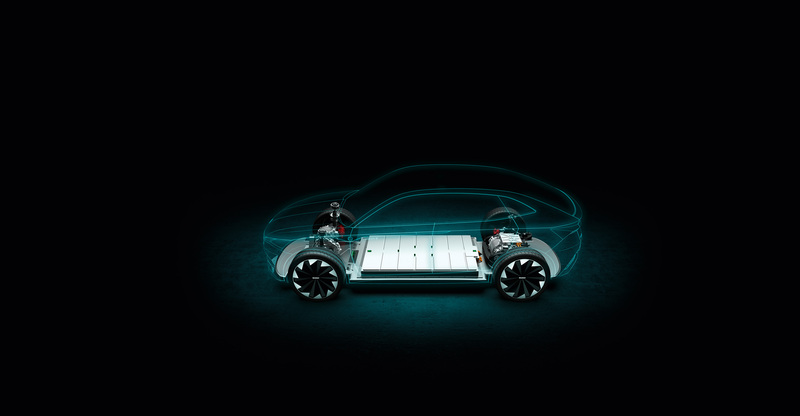 emitting no local emissions, the car will travel 70 kilometres.